YIIK (which is pronounced 'Y2K' and not 'Yiik' like I've been saying all week) is a surreal JRPG-style game that takes place in the late 90s. Its setting is immediately appealing to me: somewhere modern, mundane, and familiar, made magical with JRPG battles and puzzles. Whereas browsing forums in 1999 only lead me to browse more forums, YIIK's mystery—which I realized after the interview is clearly inspired by the death of Elisa Lam—seems to take its protagonist to much weirder places. Above, I caught up with Andrew Allanson, one of YIIK's creators, who claims the ending will be "one of the most unique" we'll ever see in a game—but is reluctant to spoil anything. 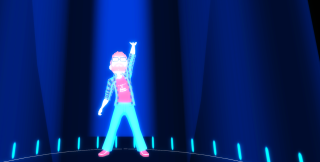 YIIK will be out this winter.